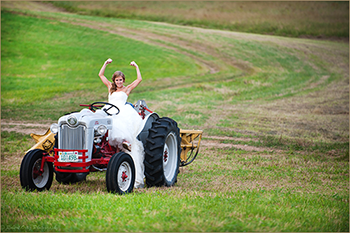 The Grounds.12 acres are available to your guests to relax, set up lawn games, or explore our various landscaped gardens, wooded areas, and streams. The Pond. Our 1 acre stocked trout pond is available to your guests. Stocked with rainbow trout from 10-16", your guests will have free access to canoes, kayaks, fishing poles, tackle boxes, and bait. Why not consider a fishing derby? The Firepit. Located on our front lawn, a firepit is available with free firewood and several Adirondack chairs sitting on our 18' X 18' brick patio. The Picnic Area. Rebuilt in 2013 and set next to a beautiful rolling stream, this amenity provides the perfect setting for a Welcome BBQ or Rehearsal Dinner. With 80' under cover, a built in bar, attached wood fireplace, and horseshoe pits, what a great way to start off the weekend for you guests! Front Lawn Ceremony Area...Located just off the main inn, this area is our largest ceremony area and is most convenient to the inn for your guests. 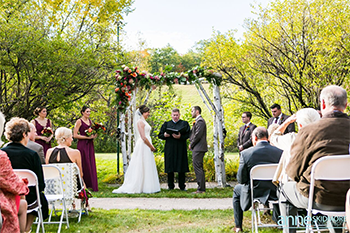 It can handle up to 250 guests and has beautifully landscaped grounds surrounding it with a white birch arbor and brick patio for the bridal vows. White chairs are typically used in for seating guests in this area. Hillside Ceremony Area..( not pictured).Looking for stunning mountain views for the background of your wedding? 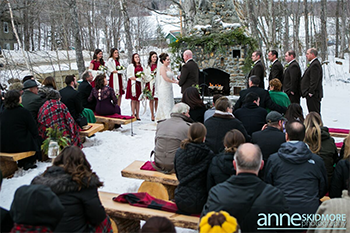 The hillside ceremony area provides great views of the White Mountains and sits on Whitney Hill just above our property. It has a white birch arbor as the focal point and can seat up to 120 guests. White plastic chairs are typically used for this area and a shuttle service is recommended for your guests to get back and forth. There is a fee of $250 for this ceremony area. Woodland Ceremony Area... Just created in 2015, this has quickly become our most popular cremony area. Just across the street from Whitney's Inn, this area provides a spectacular woodland setting surrounded by tall maple and birch trees. A wood bridge crosses a stream to provide access to the ceremony area but a 200 foot bridal path allows brides and the wedding party to enter from the rear of the ceremony area for that memorable trip down the aisle. Rough sewn lumber benches provide seating for up to 150 guests. Photography provided throughout the site by Anne Skidmore, Robert Ortiz and Spring Smith, All images © by the respective artist.